Mike Ellingson provides seasoned financial guidance for both business and individual clients. For over 30 years Mike has enjoyed working with a wide variety of companies providing accounting, audit, tax and other consulting services. 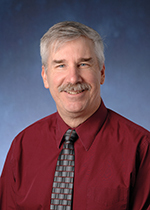 Mike graduated from the University of San Francisco in 1984 and immediately joined the firm. He is a member of the American Institute of Certified Public Accountants and the California Society of CPAs.